Cross-stitch embroidery is a traditional craft that is perfectly suited to enhance modern design. 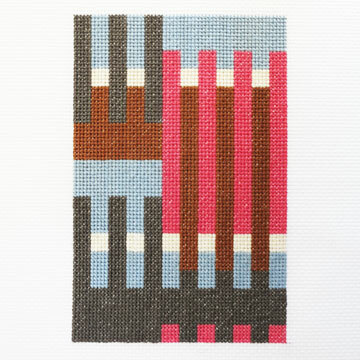 Its base is a grid created by a fabric’s weft, the threads running horizontally, and the warp, those that are vertical. 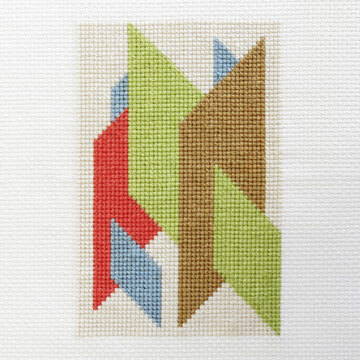 As the name implies, cross-stitching runs diagonally, across the intersection of the fabric’s horizontal and vertical threads. Embroidered designs are made up of a vast number of individual stitches that follow the orthogonal grid structure of the fabric. Embroidery adds distinctive texture and depth to a motif. 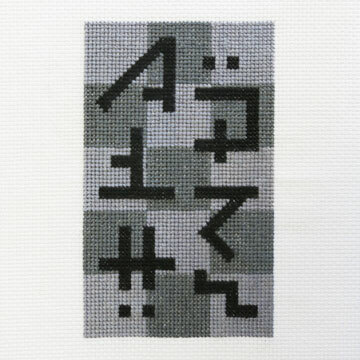 The EMBROIDART series began with a basic composition of rectangular shapes in various colors and shades of gray. During this initial phase it became apparent that more sophisticated, visually challenging designs could be developed. 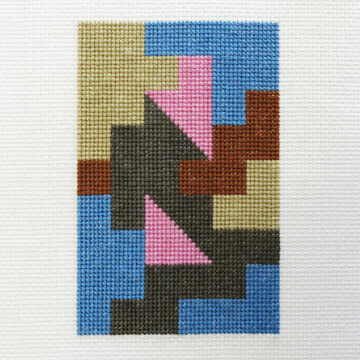 The grid-based craft of cross-stitching lends itself to the horizontal-vertical structure inherent in the modern sensibility. It can imbue a work with rigor and discipline. 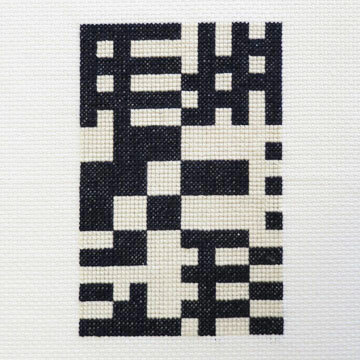 Thus, surprisingly, traditional cross-stitch embroidery is an ideal medium in which to realize contemporary line, surface, and form. EMBROIDART pieces are created with counted cross-stitch mercerized cotton floss on Aida fabric by Anne Marie Kunz.